Features: Brace. M-Lock system. Magpul MOE grip. The FN 15® Pistol chambered in 5.56x45mm NATO offers a 10.5-inch, cold hammer-forged, chrome-lined barrel with 1:7 twist and carbine-length gas system that is optimized to get the highest level of performance out of the 5.56 cartridge in terms of accuracy and reliability. 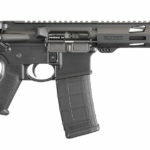 The 9-inch M-LOK rail, fixed low-profile stainless-steel gas block, FN combat trigger and SBX-K Pistol Stabilizing Brace makes this little carbine-caliber pistol a breeze to shoot. Features: 40th Anniversary. 1.5X Optic. Forward Assist. 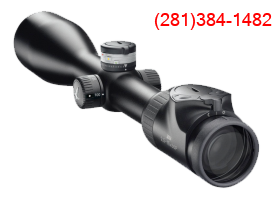 Recommended Scope: Included integrated 1.5X Optic. Back in Stock – One Unit! LIMITED EDITION Steyr STG77 40th Anniversary Model! This rifle is the highly anticipated 40th Anniversary STG 77 with a 20 Inch Hard Chrome Plated Barrel 1 in 9 twist and a 1.5 X scope with the classic circle dot reticle that was found on the original STG77 scope. Original ODG Color. This rifle has matching numbered receiver, barrel, and bolt carrier. Special assigned serial number of STG77XXX. There will only be a limited number of these STG’s produced 000 to 999. The STG77 has been enhanced with a newly designed forward assist located on the charging handle. Rifle comes with (1) 30 round AUG magazine. NEW 2017 MODEL! A 556/223 version for almost recoil-free pinpoint varmint or target accuracy! The Ruger Precision Rifle™ incorporates an in-line recoil path, eliminating the need for traditional bedding or “chassis” system, providing maximum accuracy potential. This is the 556NATO/223 Rem version! A left-folding stock hinge (which provides access to the bolt) is attached to an AR-style buffer tube. The rifle features a new Precision MSR stock, which is adjustable for length of pull and comb height, includes multiple QD sling attachment points, a bottom Picatinny rail and a soft rubber buttpad. Configured with an ergonomic extended trigger-reach AR-style grip, a 45 degree reversible AR-style safety selector and a Samson Evolution handguard, the Ruger Precision Rifle™ can be configured with any AR-style stock, grip, safety selector, and handguard. 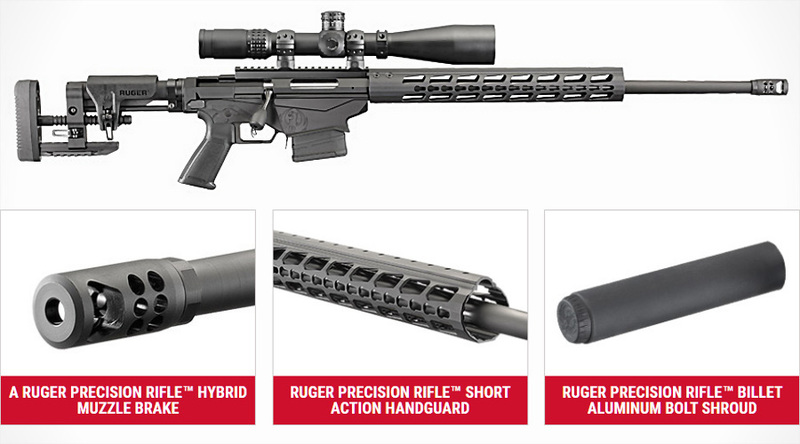 The Ruger Precision Rifle™ features a Multi-Magazine Interface, a patented system that functions interchangeably with side-latching M110/SR25/DPMS/Magpul® magazines and front-latching AI-style magazines. The rife is supplied with two 10-round Magpul® PMAG® magazines. The rifle also features a minimum-headspace, medium contour, cold hammer-forged 20″ 1:7 barrel with 5R rifling that is threaded 5/16″-24 at the muzzle and features the Ruger Marksman Adjustable™ trigger which is externally adjustable from 2.25 to 5.0 pounds. 5.56 NATO “Target” chamber safely accommodates 5.56 NATO cartridges while providing maximum projectile control and accuracy for both 5.56 NATO and .223 Rem cartridges. Oversized bolt handle for positive bolt manipulation, with 5/16″-24 thread for easy replacement. Bolt disassembly tool is stored in the bolt shroud for easy striker channel cleaning. Also features a Ruger Precision Rifle™ Billet Aluminum Bolt Shroud. Also includes: Two, 10-round, Ruger AI-Style Precision Rifle magazines compatible with longer, higher ballistic coefficient projectiles. Condition: New in Cobalt Kinetics Case! LIMITED EDITION NUMBER 5 OF 100! 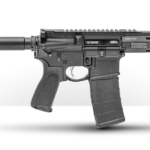 We are very excited of carrying the new Cobalt Kinetics high performance AR-15s that are taking the market by storm. We usually refer to customers about our LWRCs as “The Cadillac” of the ARs and about our H&K as “The Mercedes Benz” amongst AR-15s. Consider Cobalt Kinetics “The Ferrari” of ARs. A combination of striking design and looks with innovation (6 patents pending) and high performance features that makes them the choice gun for 3-Gun competitions or other high performance situation. 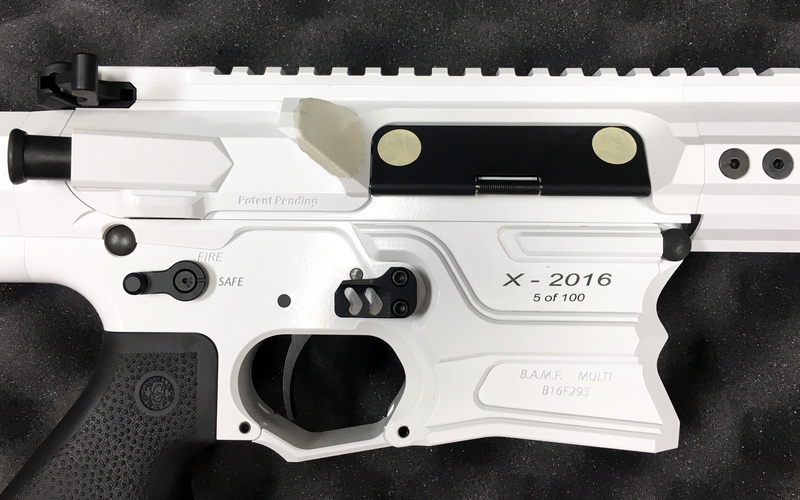 This model of the Striking BAMF (Billeted Aluminum Modern Rifle) BAMF – EDGE was produced as a numbered limited edition. It comes in Winter White color and Black Barrel and Buffer Tube. Cobalt guns are chambered in what is now named “223 WYLDE” that is a short way of saying that the unit will work perfectly with either 223 Remington or 556 NATO bullets. One of the most noticeable innovations of this rifle is the dual Forward Assist that doubles as an ambidextrous double bolt drops. Hit the double drop from either end and the bolt slams home! This makes for a truly ambidextrous rifle, particularly considering the safety and magazine catch are ambi as well. But probably the feature that the buyer will appreciate the most will be its gold High Performance trigger that is better than anything we tried before. We designated one unit of the Cobalt Kinetics BAMF EDGE as a “Store Demo & Range Unit” so feel free to come to the store and feel it in your hands!